Highly recognised for his dedicated approach to selling homes and extensive real estate experience in both sales and property management, Ash has made a significant contribution to the team at Marshall White One. Ash has developed an expansive professional network through a number of corporate roles since completing tertiary studies at RMIT and Melbourne Business School, as well as high school at Trinity Grammar School. 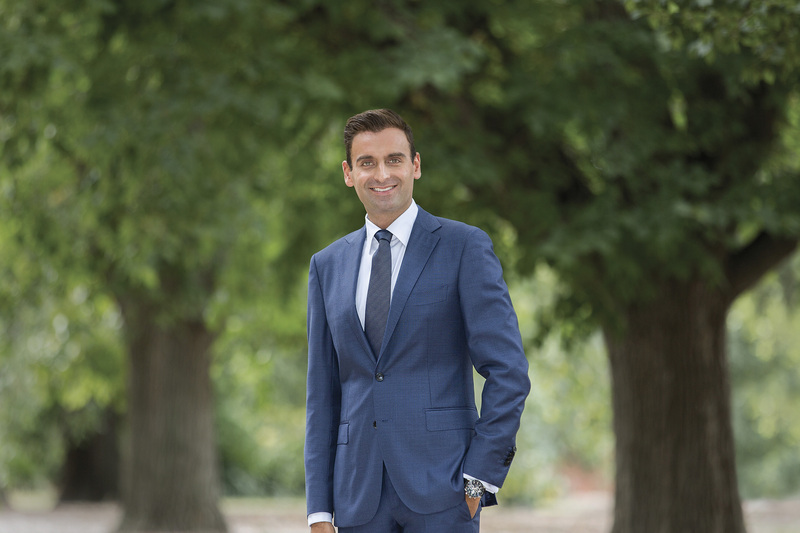 As a lifetime Boroondara resident, Ash is an active community member and knows the local area like the back of his hand. Ash possesses an ability to foster genuine relationships and connect with people, and his sheer diligence, efficiency and calm negotiation skills make him the stellar agent that he is. Outside of the office, Ash enjoys time spent traveling, watching sports and keeping fit. Ash loves exploring Melbourne’s offerings, socialising with friends and most importantly, spending quality time with his wife and son. Ash really impressed us with his knowledge of the area and commitment to finding us the right buyer for our home. He worked tirelessly and went above and beyond to deliver a great result. At the time we worked with Ash we were working simultaneously with two other agents for other properties and the difference could not have been more stark. Ash was great to work with, showed a genuine interest in helping us and when it came to the final negotiation delivered a result that exceeded our expectations. We would happily recommend him to anyone. I recently had the pleasure of selling my property with Ash Sachdev through Marshall White One. From the outset, Ash was readily available and offered guidance on all aspects of the campaign; from ensuring the launch of the advertising ran to schedule, liaising with the tenant, and qualifying information provided to prospective buyers. My apartment was in an architecturally significant building and Ash made an effort to understand the history of the property so as to communicate this to potential buyers. I was delighted that the apartment sold to an architect, who evidently responded to the information provided by Ash. Ash conducted himself with professionalism and his calm and respectful manner extended to all those involved in the sale. I have no hesitation in recommending Ash. Ash, I thank you for your support and advice throughout this process and I wish you all the best. I recently bought a property 108/342 Whitehorse RD. and because I was really impressed with the young agents during that process (Ash Sachdev and James Hill), I decided to engage them to then sell my property. I want to congratulate both men, and in particular Ash (as he was my primary contact), on the most professional way they ran my campaign, with a successful sale at the end. I have sold and bought several properties in the past and can honestly say that this was by far the most professional and pleasant experience I have had in real estate. Ash was so polite, kind, understanding and reassuring, always in communication, and nothing was too much trouble. I commend you on your training of staff and the professional way everything was done, Tegan in the office was also excellent. I would never hesitate to recommend Marshall White to others. Thanks again! Andy and I have full confidence in recommending Ash to anyone selling their house. He was friendly, knowledgeable, knew his stuff and did a great job of negotiating. He kept us updated and was always available to answer any questions we had, anytime. He was very professional, trustworthy and approachable. We would definitely use him again. Thanks for everything. Thank you Ash from Marshall White for the recent successful sale of my apartment. He was not only meticulous but also extremely knowledgeable and reliable. The whole process was very smooth which is as a result of this organisation and pride in his work. I highly recommend him to friends and family. Ash and Luke displayed the highest standards of professionalism during the sale of our property. Both were frank, honest and knowledgeable throughout the process. They displayed a first-class understanding of the market which enabled us to make the right decisions during the sale. Importantly, the final result exceeded our expectations. We have no hesitation in offering the strongest possible recommendation for Ash Sachdev and Luke Saville. I was very fortunate to have Ash Sachdev assist me with the sale of my apartment in Kew. In a very stressful time personally for myself he gave me security and confidence that I would come out with a successful outcome in which I did. Ash was professional, personal, friendly and extremely informative. I highly recommend Ash and Marshall White One are very fortunate to have such a passionate employee working for them. For us as vendors to be absolutely satisfied that we squeezed every single dollar out of the market is testament to the skill, dedication, hard-work and care that both Jack & Ash applied to the sale process. Their advice on when to sell, how to present the property and the advertising strategy were vital to laying a successful foundation for sale. They backed that up with masterful skill in the way they managed the opens, buyer enquiries, offers and finally the auction. Just a fantastic experience which we’ll miss now that it’s over. Well done Jack & Ash – amazing result. Ash Sachdev recently sold our unit in Kew. We found Ash to be very knowledgeable and passionate about selling our property and found him to be very professional, caring and supportive throughout the entire process. He responded promptly to any communication, and was always calm, articulate and polite. We were extremely comfortable with Ash throughout the campaign and appreciate that he was always committed to obtaining the best outcome for us. His excellent negotiation skills were impressive during the final stages of the sale of the property. We have no hesitation in recommending Ash to anyone looking to sell property, as he is so dedicated to his profession. We found the whole experience stress-free. It’s hard not to be extremely pleased with the outcome you achieved on the weekend. To put it into perspective, the property was advertised (with another agency) for private sale at $600K at the end of last year. We knew it was better than that. But we’d lost confidence. Thank you for restoring that confidence – and for realising the value that existed. It’s a big thing for a farming family from rural Victoria to buy an investment property in Melbourne. It’s not just a big thing financially. It’s a big thing emotionally. There are a lot of sacrifices, a lot of doubts, a lot of hope and so on. So achieving a result like Saturday’s is not just a great outcome financially. It means a lot more than that. Your sales strategy was sound, you worked hard to pique interest and, ultimately, you got at least four people seriously interested in making the purchase. You can’t ask for more than that in this market. And the fact you were a pleasure to work with makes the experience all the more positive. We are delighted with the sales price that Ash was able to negotiate on the recent sale of our home. It was not an easy sale for him as we had rejected what was already a fantastic offer from the prospective buyer. To secure the price achieved, Ash really had to demonstrate his exceptional negotiation skills. We were also impressed and grateful for his professionalism and dedication throughout the whole process. He is certainly worth his weight in gold and would highly recommend his services.